The new year has arrived with a bang and the first festival of the year, which is Sankranti is here. Sankranti, which falls on 14th (or 15th ) is also extending the weekend holidays and this is also another reason to celebrate for the office goers. What better way to celebrate this occasion with your family and loved ones than to go for a film together? 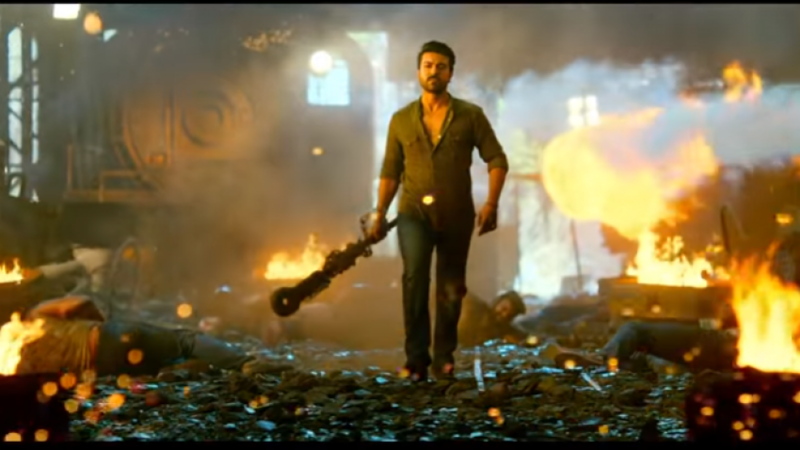 The latest release Vinaya Vidheya Rama starring the dashing Ram Charan and the beautiful Kiara Adavni in the lead roles should be your first preference. Vinaya Vidheya Rama has a bit of a parallel connection with the mythological story of Ramayana. The protagonist who is named Rama is played by Ram charan, and the female lead who goes by the name Seetha is played by Kiara. But don’t expect this movie to be similar to the Ramayana story, there are a few added twists to the story. For instance, in the movie the character of Seetha is much more outspoken than Rama. It is Seetha who bosses over Rama all the time. If you have seen the trailers of the movie, it might seem at the first sight that the movie must be a violent action thriller, but you may be proven wrong. The hero of the movie, Ram Charan is of the opinion that the movie is a family watch. The movie shows the journey of a man who, due to the circumstances was forced to rise to the occasion for the protection of his loved ones. The director of the movie, Boyapati Srinu talked about the movie and said that the movie in its true essence is an expression of what Sankranti stands for. The film realises the good vibes of Bhogi, the happiness and the excitement of Sankranti and the flavours of Kanuma that define the festival of Sankranti. The director said that the film also does display the importance of the role of family in ones life. Even when the times are changing and our lifestyles are all different than those that were a few years ago, the bond shared with ones family is what must remain constant. The movie showcases how a family can survive in this evolving world. Sankranthi is the most apt occasion to bring out the importance of relationships in our life and this movie does the same. The movie starring Ram charan and Kiara Advani in the lead pair role also is the comeback movie of Vivek Oberoi after 9 year gap to the Telugu industry. The movie is directed by Boyapati Srinu and is produced by DVV Danayya under the banner of DVV Entertainments. The movie was released worldwide on 11th January 2019. What plans have you made for the Sankranthi holidays? Why not add a little action, Drama and comedy to the beginning of the year by going to the nearest theatres and watching Vinaya Vidheya Rama along with your Family.